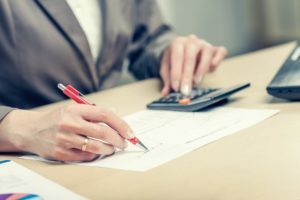 While bankruptcy is a great way to relieve large amounts of debt and get a fresh financial start, it might not be the best option for everyone in financial trouble. Of course, there are different types of bankruptcy options available, each meant to cater to your need and hopefully get you where you would like to be financially. In order to figure out what is best for your situation, you should consult with a bankruptcy attorney. In the meantime, take a look at the following commonly asked questions and answers regarding bankruptcy in general. Is Chapter 7 Best if I Just Lost My Job and Have Debt Already? This depends on if you think you will incur more debt in the near future. If you feel you will, then it is most likely in your best interest to wait to file for Chapter 7 bankruptcy. This is because only your current debts would be discharged in your bankruptcy. Any debts incurred after the filing date will be there waiting for you following your discharge. You would then have to wait eight years before filing for bankruptcy again, leaving you tied to those debts for a long time. Will Bankruptcy Stop Debt Collector Harassment? The good news about bankruptcy is the automatic stay that requires most creditors and debt collectors to cease all collection efforts. The automatic stay will be in place until the bankruptcy is over. Now, you should not file for bankruptcy if you are only looking for the debt collectors to stop. Instead you can request they stop contacting you under the Fair Debt Collection Practices Act. You can make this request by sending a letter stating you want the collection agency to cease all communication with you. Can I Keep My Property if I File for Bankruptcy? If you file under Chapter 7 there is the chance you will lost property. In Chapter 7 most of your debts will get discharged, and in exchange the bankruptcy trustee can take any property you own that is not exempt from collection in order to sell it and distribute the proceeds to your creditors. State law will determine what is and what is not exempt from collection. If you file for Chapter 13 bankruptcy you will be able to keep your property. With Chapter 13, you will be repaying a portion or all of your debts via a three to five year repayment plan. During this you are able to keep your property as long as you keep up with any payments on loans secured by the property in addition to your repayment plan payments. At the end of the day, the best way to have your bankruptcy questions answered is by an experienced bankruptcy attorney. If in New Jersey, all you have to do is contact the Law Office of Joel R. Spivack. With 25 plus years of experience in bankruptcy proceedings, he can help you figure out what is best for your particular situation. Mr. Spivack understands the hardships you may have endured and will do his best to help your future. Fill out the online contact form and take your first step toward financial stability.